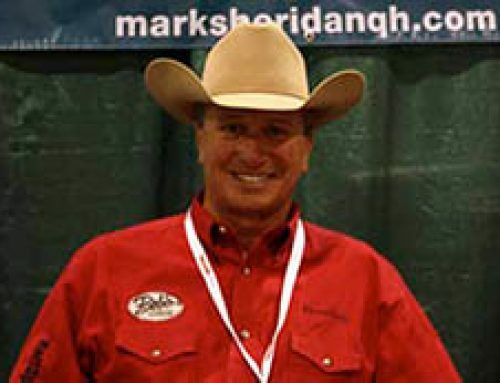 TEACHING LITTLE KIDS TO RIDE, AND STARTING THEM OFF RIGHT - Mark Sheridan Quarter Horses, Inc. I have written this article because I strongly feel that it is important to teach young kids the proper way to begin their experience with horses. I see so much at the shows, from the standpoint of an exhibitor/trainer and a judge, that inspires me to write about the proper and improper methods to teach and learn. Riding horses is an everyday learning experience, and I am still improvising ways to teach young riders that keep them interested in the wonderful world of horses, while keeping safety first and foremost. From early childhood horses have always been an important part of my life. I have a ton of input to make experience with horses at an early stage in a child’s life very rewarding. The three most important factors to consider when finding a riding stable for your child are, in no specific order, a safe and quality facility, remarkably safe horses, and a knowledgeable trainer or instructor. Starting with the facility: Walk around the farm and see how things are taken care of. Is it neat and clean? Are the horses well fed? Do they have adequate round pens, arenas, and good footing for riding? Do they take pride in their facility with things raked up and the tack room and tack clean and organized? Next, check out the horses: Are they older, safe, and completely broke and sound horses? Most importantly, research and interview the instructor. Nowadays, it seems that everyone is a “horse trainer,” and everyone is an “expert”. So you should be sure to check out their credentials; how long have they been in the business? What awards and achievements have they achieved in their career? Do they have a website? Where did they get their instruction and schooling? Ask around and do your research. 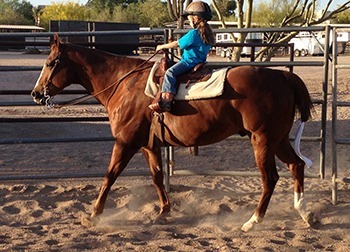 There are many barns that have very talented trainers, but their interests do not include giving little kids lessons. 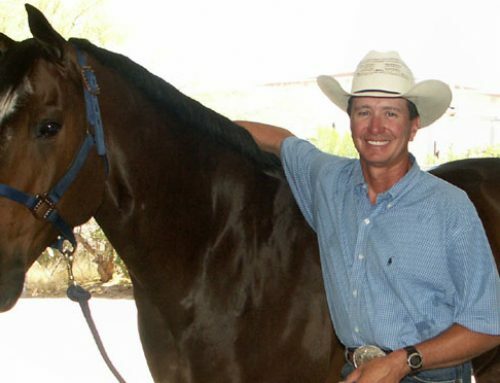 Most big name trainers don’t want to spend the time giving lessons to beginner kids that will not enhance their business, and take them away from their riding and training. That is fine if they disclose that to you. In that case, make sure that their assistants are dedicated to spending the time with your kids if they are not able to. I have climbed many big mountains that required skilled guides and climbing experts. I researched my guides and their accomplishments long before I hired them to take me on risky climbs. Riding horses is a risky sport as well, so you need to do your research. Another point on quality instruction is that if you find your instructor on Craigslist, Deal Chicken, Groupon, or make your choice based on the low price of the lessons, you might not get what you were necessarily looking for. Many unqualified people that give lessons will drop their prices to the point of making lessons more attractive financially. Remember, that you get what you pay for. “When is the right age to start a child riding?” is the question I get all the time. 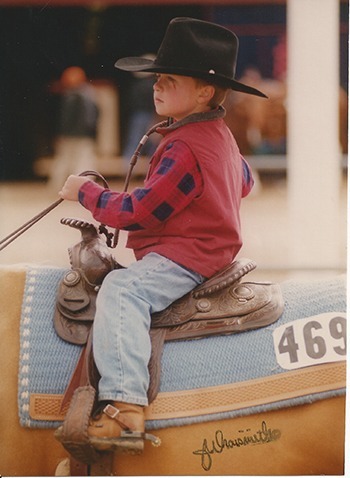 I started my son Hayden riding when he was four years old. He spent time on a horse when he was two and three, but I was leading him around on an old gentle nag, all the while keeping a close eye on him. 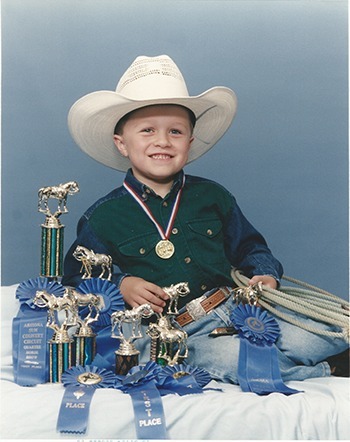 My son had the advantage of having a father who was a horse trainer and could pick and choose what horses he wanted to ride at the age of four, whether it was “Moon”, the World Champion 20-year-old Trail Horse, “Blue”, my 18 year old lesson horse, or “Diamond”, my palomino mare that I roped steers on. Most of the time he chose Diamond, which says a lot about roping horses being some of the best lesson horses. I have had three or four rope horses over the years that also had other jobs teaching people how to ride. They were some of the best horses and teachers I ever had. They always were good with little kid because they were so broke, they had seen everything, and they didn’t have to work hard as a lesson horse. Another major reason for expressing my views on kids and horses, is from judging many horse shows around the United States and Internationally. I use the back page of my judging pad to make notes throughout the day on breaks as I am working, and put them together in thoughts for articles. It seems that I usually see the same thing at least once or twice at every show I judge. These things that I mention are not of the norm or the majority, but nevertheless I seem them at every show. I ask myself and my ring steward, “How much do they love their child?” At the last three shows I had the opportunity to officiate, kids were being tossed off left and right in the Working Hunter and Jumping classes by dirty horses stopping hard in front of the fences; horses were running off with little kids in the reining; And barrel horses were flipping their heads and running off with little kids some of whom fell off. 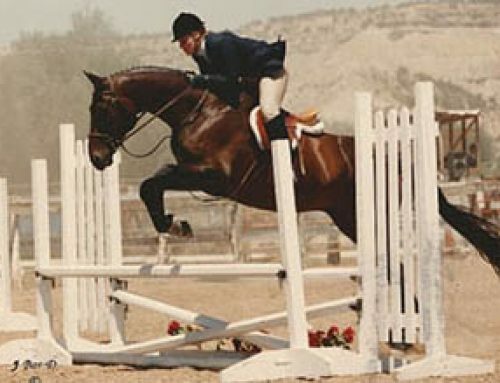 This was simply a case of completely unbroken and improper horses, kids that were not ready for the particular classes they were competing in, and/or parents that were not educated about the dangers of horseback riding. Life is too short, and I always made sure that my son Hayden not only rode good horses, but that he had a helmet with constant supervision! Nice horses don’t cost a fortune, but it takes time to find or train the right one. Little kids MUST be supervised at all times! It is too easy for horses to step on them among other things. 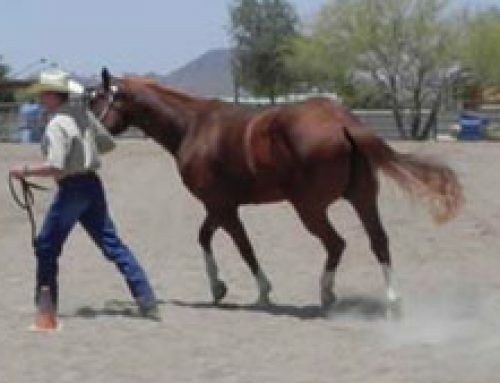 They should be taught ground work first, grooming, leading, handling, learning which side to lead from, not to stand on the off side when leading a horse, how to walk around them from behind, etc. If they are big enough, learning how to pick up a leg and clean out hooves properly. A round pen is the number one necessity when teaching little ones. Starting them in the round pen with walk/trot lessons is the way to go before ever cantering or loping. The round pen keeps them safer and does not require much steering, so they can concentrate on balance and other things without having to worry about making the horse go where they want it to go. I always start the little ones with a Western saddle first and then if they become skilled, eventually graduate to an English saddle if they so desire. The Western saddle gives them a sense of security, and I let them hold the horn to start with if they get nervous, but soon thereafter, must not rely on the horn. Using romal reins or roping reins are best at this stage of learning because they can not drop the reins and lose them like split reins. I like to teach them how to use split reins later on once their skills have developed, both by bridging the reins and learning how to use one hand with an index figure between them. Keeping them in the round pen until they can canter or lope comfortably is a must. Once they learn to stop, turn, and control the horse, then they will graduate to the “big” arena. By that time, they are looking forward to the opportunity to ride in the big arena with the big kids. I use that as an incentive and it works wonders for confidence in their abilities and balance. When I graduate them to the big arena, they will ride in a virtual round pen, a set of 15 or more cones set in the same size as the round pen and they will have to ride the same way they did in the round pen, but without rails, this time with cones. Once they achieve this maneuver, they are ready to ride with the big kids. Teaching kids the basics of horsemanship, like balance, soft hands, weight distribution, as well as timing and feel at an early age, are the most important tools to further their riding talents for later on in life. If kids are never allowed to pick up bad riding habits, most will progress at a faster rate. Many of the kids that I started with lessons at the age of four, have later competed on NCAA and IHSA intercollegiate riding teams riding in various events. Make sure that they take care of their horses once they are done riding, which includes bathing, grooming, oiling hooves, feeding carrots, putting the fly masks back on, and making sure the stall doors are shut properly. This is a perfect time to teach your kids responsibility! Fun comes with work, and they need to know that the horse’s well-being comes first. One of the things that I have noticed throughout the years is that every kid is different, and some kids like to ride for hours, and some lose interest in 20 minutes. Attention spans are different with every child, and it is necessary to learn to read your kids, and if they are bored and want to stop riding, then call it a lesson. If others want to ride for an hour or two, then let them do it if time allows. They will always tell you what they want if you just listen. Some kids pick up skills faster than others and have more natural athletic abilities than others, so being patient with the rate of learning is important. Consistency in riding is another very important thing to remember. Just like other sports, nothing can replace practice and time spent in the saddle. But as a parent, do not live your life through your kids and their accomplishments. Do not push them, step away and let the instructor do the teaching. If you interfere, they will only withdraw. I coached Pop Warner football years ago and saw this constantly with parents. We as coaches, had to continually tell the parents to “step away and leave your son alone,” to the point where we had meetings, and later on restrictions where the parents were not able to be near the team for practices and games. Some parents just don’t get it. This rule also applies when they are older in their teens and competing. If your kids are whining and complaining that they are not winning enough, it might be time to tell them to stop whining. Learning how to properly ride a horse is one of the greatest opportunities one can have in life. It also teaches personal responsibility and how to deal with the ups and downs that life has to offer. Learning how to lose graciously when competing is as important as knowing how to be humble and handle success in the arena, as well as in the arena of life. In the world that we now live in, instant gratification is unfortunately part of the equation. Learning that winning does not come easy, working harder to become better, and accepting personal responsibility, are the best lessons that a child can learn. 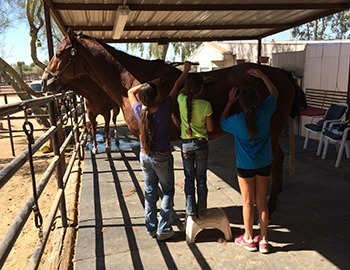 Horses are a great tool for learning about life, and what challenges lie ahead.